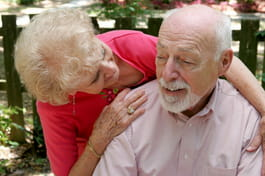 More than 50% of people over 50 years old complain of memory loss. These memory lapses are not all related to Alzheimer's disease. Forgetting the way to use words, forgetting very common words, and using words which do not have any meaning in a sentence. Latest update on May 30, 2010 at 10:02 AM by N.T. This document, titled "Memory Loss: Age related vs Alzheimer's Disease," is available under the Creative Commons license. Any copy, reuse, or modification of the content should be sufficiently credited to CCM Health (health.ccm.net).